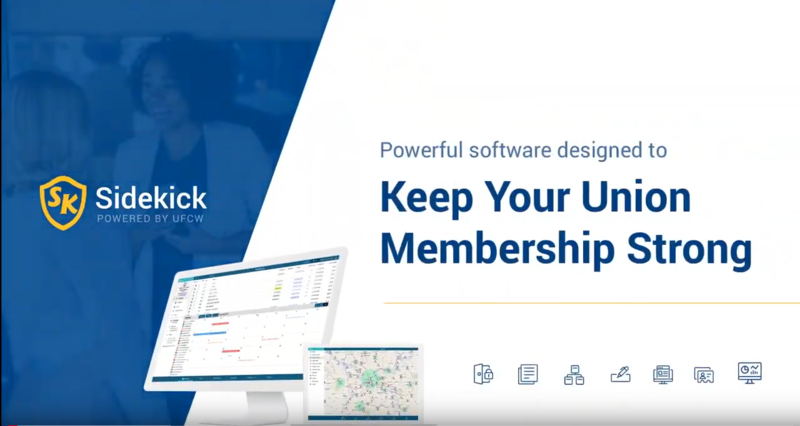 The UFCW International’s Information Technology Department recently released a promotional video for the Sidekick app, which can help locals connect with current and potential members face-to-face and maintain accurate membership data more efficiently from any mobile device. 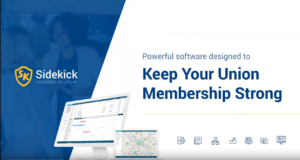 The sidekick app is part of the UFCW’s Local Union Membership Management (LUMM) system, which is a free membership tracking software and widely used throughout all regions. The new cloud-based Sidekick app offers many features needed to join and service our members, including use of multimedia, digital membership application, reporting, surveys, grievance, document and file repository, texting, email and others. You can view the promotional video for the Sidekick app here. To learn more about the Sidekick app or to arrange for a training session, contact Laurie Kolish at the UFCW International’s Information Technology Department at lkolish@ufcw.org.